I am posting this so that anyone interested in using this as a school project or science project for promoting Asgardia, Science and space Technological studies it would be easy. It is also something you could do as a table item along with a star and planet map if you set up a table to promote Asgardia membership / interest. Below are a couple of links for 2 different kinds of telescopes. One is a larger project and the other something more simple for younger kids. You can always download the videos and add your translation for languages other than English. Разработка темы Паралельный мир открывает возможности ВЕРНУТЬ свою молодость и продлить жизнь до бесканечности .Все это описывается в моей теме на форуме .Хотите вернуть свою молодость подключайтесь в помощь разработки данной темы . Calling all Asgardians in the area of Fez Morocco! The message system on the website is not functioning. However if anyone would like to contact me, you are welcome to message me on Facebook or at zahira.ledoux@gmail.com. Lets get together and promote Asgardia in Fez! Make sure to Vote for me and invite your friends. نظام الرسائل على الموقع لا يعمل. ومع ذلك إذا كان أي شخص يرغب في الاتصال بي ، فأنت مدعو لرسالة لي على Facebook أو في zahira.ledoux@gmail.com. دعنا نلتقي و نشجع Asgardia في فاس! تأكد من التصويت بالنسبة لي ودعوة أصدقائك. I would like the opportunity to represent Asgardia to future members in Fez Morocco. I am hoping to share ideas of not only increasing the concept and ideals of Asgardia in my local community, but also to increase the number of participants in my community. This in turn will increase the number of opportunities for members to volunteer their various skills to further the awareness of Asgardia to the young and old. Some programs of interest would be Scientific discussions or symposiums, science kits to be used in class rooms, invitations to discuss Asgardia with Q&A in our local community and of course meet-ups and activities. I am posting this information here in case anyone may be interested to Volunteer with Civic Asgardia. If you are interested, you can review the information mentioned on the link below about How To Volunteer with Civic Asgardia. This will help you to prepare, know what to expect and what information to include in your communications with us. We need to the peace full life of our future.its a amazing opportunity for our future world. As we approach Thanksgiving, many people are wondering how to get involved in volunteering, with good reason: Now is the perfect time to commit energy to help others, get involved with something you feel passionate about, and often meet new people. But volunteering can bring other benefits, too—one being a great boost for your career. Here’s how volunteering can help you thrive. See the link above for more of the article. Brief background about me: I was born in Luling Louisiana. I am a foodie and really enjoy many different types of cuisine. A couple of my favorites are Spanish and Italian. I also have a strong interest in technology and space. I hope to one day be able to try AI in a work environment with virtual reality. Professionally I am an Office Coordinator, but have had extensive experience in several different fields. A couple of my favorite places to work was a Wireless Company doing technical support and a Behavioral Health Service. I enjoy meeting new people, helping people and sharing ideas on topics of interest. My hobbies are cooking, baking, shopping (window shopping) and moments with friends and family. I'm sure it would be no surprise that I have an affinity for the Internet. I am currently brushing up on some basic coding skills and practicing on some graphic design abilities as well. What brought me to Asgardia? I am looking for a better opportunity for my kids to live in. I wish that I could to, but endeavors such as this one will take many years to become a reality. I only wish for peace, tolerance and safety. I think everyone deserves at least that much. From there we can build the life and environment we wish for ourselves and future generations to enjoy. The concept of Asgardia encompasses all of those ideas for me. What I like about Asgardia? The thing I like most about Asgardia, it is an opportunity for a future that many have only been able to dream of, and spent their whole lives wishing for. A chance for Unity and a place where humanity can be free to be human. A place where we can one day have equal respect, tolerance and rights. It's a dream worth working to bring into reality. What I hope the future will bring with Asgardia? I hope for Peace, Tolerance, Prosperity and Safety. May we be successful! NASA is one step closer to testing its proposed line of defence against the threat of a potential asteroid impact on Earth. The "kinetic impactor technique" essentially involves smashing a spacecraft into an asteroid to bounce it away from the Earth. Which sounds a lot saner than the plan hatched in Armageddon of sending oil drillers and a nuclear bomb. Please click the link above to read more - There is also video mentioned on the article. Do stick to magnets and these materials form 80% of asteroids (not all asteroids) so we can make a big magnet attached with rockets so we can drag the asteroid away. Asgardia 1 satellite is currently stored under 7 locks!!! Just sharing!!! This news is so exciting! and here you are looking at what will be the first satellite of Asgardia, named Asgardia-1. I hope they live stream it. Is your child/cousin/nephew/neice/brother/sister an artist and loves to draw pictures of space and space related themes? We'd like to see their art! The Asgardian children's art gallery https://asgardia.space/en/contest/gallerycan be visited on www.asgardia.space , and is dedicated to the children of Asgardia. We hope that families will enjoy drawing space and discussing spaceships, stars, planets and Earth. To be eligible, the artist should be under 18, but doesn’t have to be your son or daughter. Your brothers and sisters, nephews and nieces, and even your neighbors, students and younger friends are welcome to participate, as long as their drawings relate to space in some way! **Click the photo for the original post. I like how you refer to your daughter as "it"
My daughter Asgardia member. Is it possible to participate from its own page. ? There has been much discussion about space governance in the past here on the groups and in the Forums. So I wanted to share this bit of information on that topic. 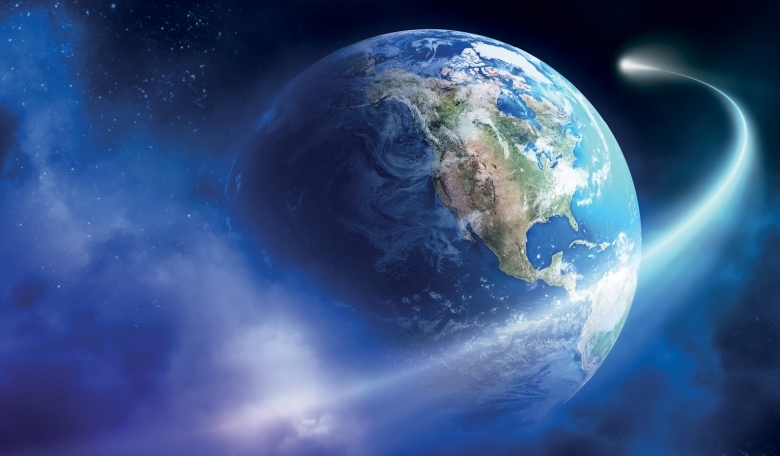 For over two, years some 80 space scientists, engineers, entrepreneurs, regulators and space lawyers from around the world have been engaged in an ‘International Study on Global Space Governance’. In advance of its publication later this year, the articles in this special section of ROOM highlights key aspects of the study and assess some of the many challenges to establishing a viable and effective rule of law governing activities in outer space. **Click the picture to read the full article. I have analysis this setup and look more close to the yahtzee online real game which is different from the virtual game. But after open it when I start to play with free online yahtzee games it was very crazy for me. I am sure Asgardia will play an important role in there. In case anyone is interested...John Logsdon, space historian and founder of the Space Policy Institute, is doing an AMA in /r/politics! Don't forget to set your reminder for Unity Day! For those of you who use Facebook, you can set your event reminder here. help could be usefull for the security step in between voters and Asgardia. That of @ Dirk Baeyens is not trivial question, looking at how verification gone. May I add if is there a third party votes certification process? will have a change to vote, i am referring to online attacks. World Hug for Peace! Can we do it? To promote the Concept of Asgardia: Peace, tolerance, and one humanity. Asgardians should organize programme all over the world . Message for peace will spread through asgardians. A comet producing its own oxygen! How cool is this?! Scientists have found a comet producing its own oxygen! "The finding shows that oxygen can be generated in space without the need for life, and could influence how researchers search for signs of life on exoplanets." I'm pretty sure that Astrobiologists consider free oxygen in planetary atmospheres to be a strong indicator of life because it's very reactive, so would require a constant supply, like photosynthesis, to maintain it. The fact of oxygen in itself is not unusual? This is so awesome to think. Something so small compared to our planet that's producing it's own oxygen. This show major promise of finding, and using different locations throughout the universe that we may be able to provide resources we could use. Time for some FUN! Each month we will have an Asgardian Movie Picks theme. This month it is Space Comedy . The volunteers of Asgardia have chosen their favorites, making a list of our Top 20. Here is where you guys join in. We would like for you to choose your favorites from this list. 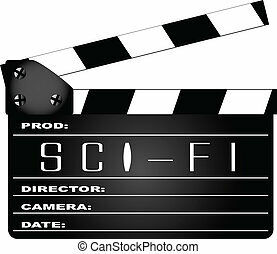 The top 5 will be mentioned on our IMDB account http://www.imdb.com/user/ur70247544/?ref_=nb_usr_prof_0 where you (Asgardia Members) can review the films. So please take a moment to make your selections, and maybe even find some suggestions of movies that you may not have seen yet. Have Fun! Let us know if you have any questions. beetv app https://beetvapp.com/ has a lot more movies such as WALL-E, Paul, Office Space, Galaxy Quest, etc. My favorites are doing nicely on this poll, it's always happy to see others voting for the same choices you made. The three I voted for are not all on top three at the moment but pretty close. Unity Day Event! - Set your Reminder! *Click the photo to open the event details in a new page. For more information on Unity Day, please see Decree N3 by the Asgardia Head of State Dr. Ashurbeyli. More information will be posted as it becomes available!